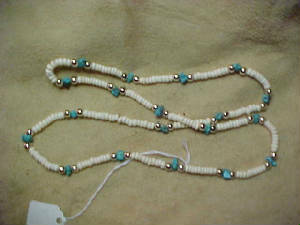 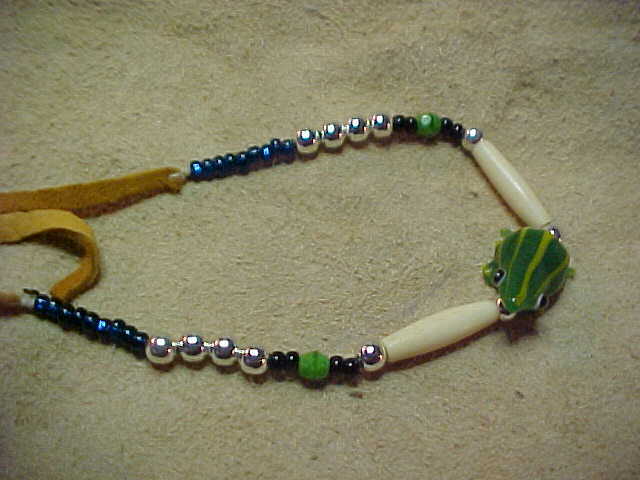 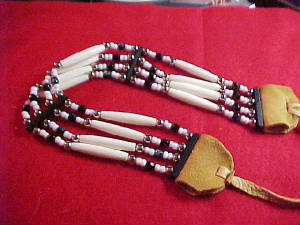 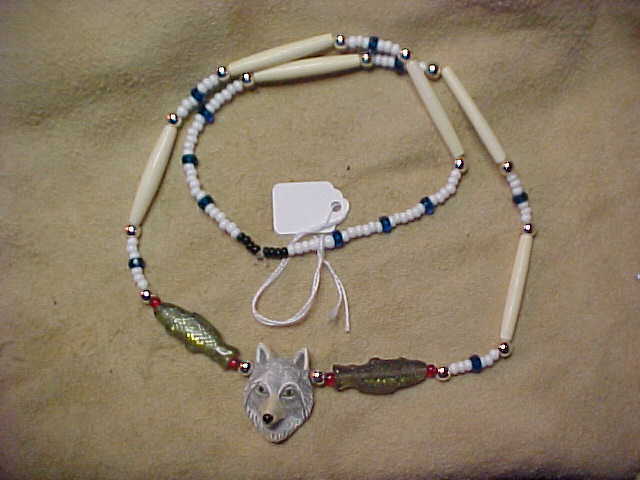 All of the Native American Bone Chokers and Necklaces featured here are authentic and are completely handmade, by a Nez Perce elder artist. 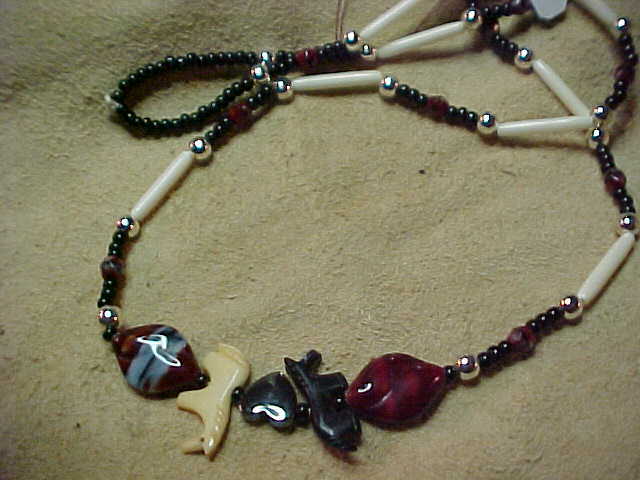 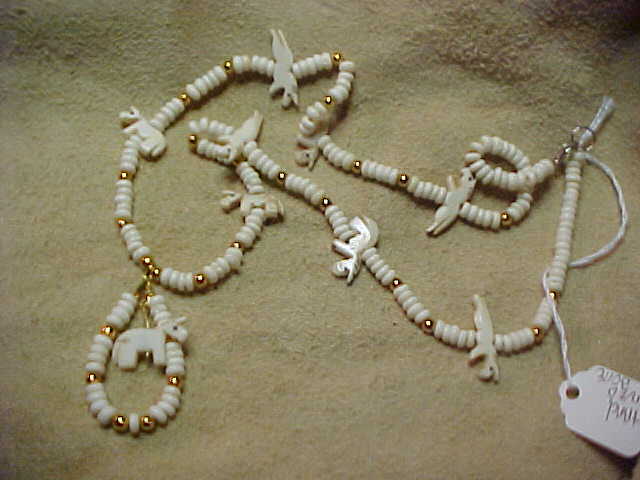 They are made from real hair pipe bone or horn hair pipe, glass and silver beads are incorparated to make a exquisit piece of art. 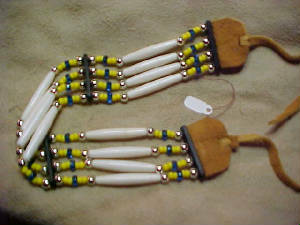 They are strung on sinue or heavy waxed thread. 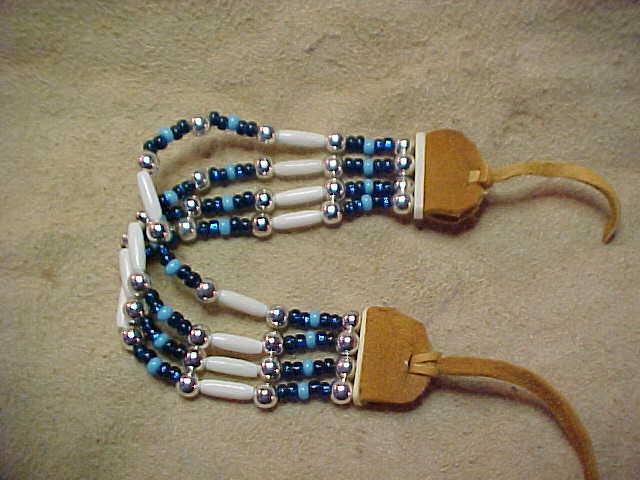 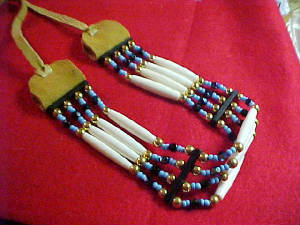 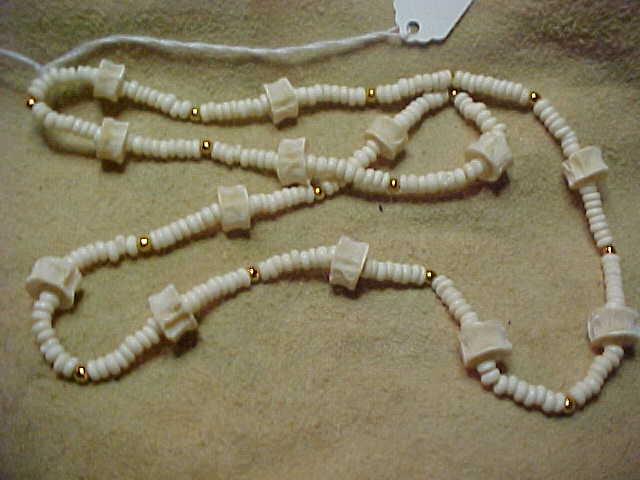 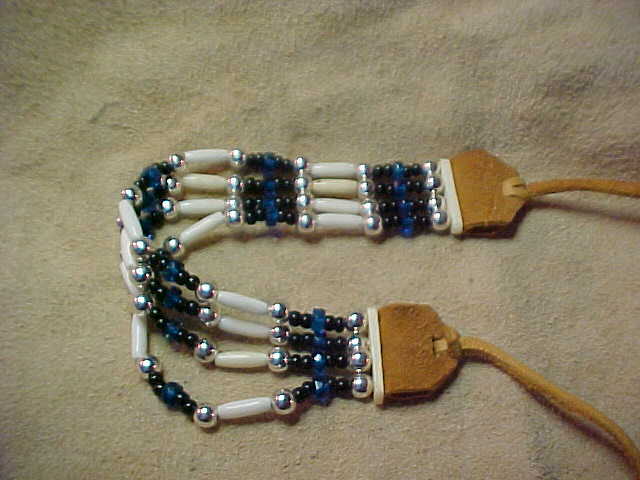 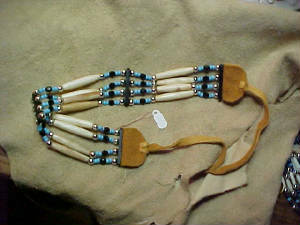 ends are made from smoke tanned buckskin. 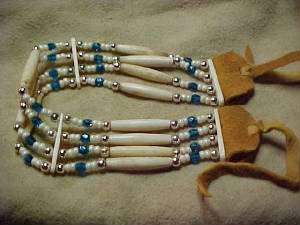 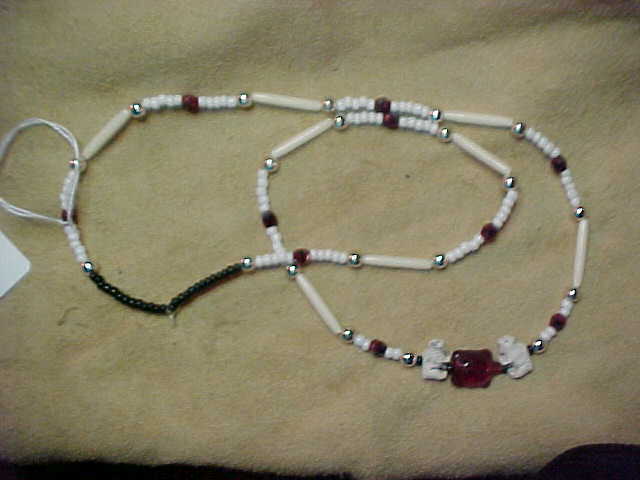 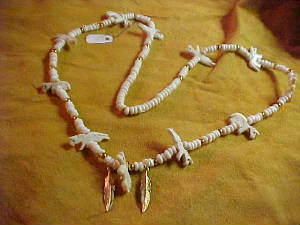 Never mistake the real Native American made bone chokers for the imported imitations. 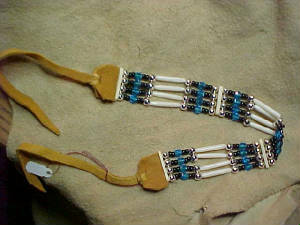 If you dont find what you are looking for, custom orders are always welcome.